IRVINE, Calif. - July 26, 2018 - PRLog -- Cadence Park is the latest addition to the Great Park Neighborhoods in Irvine showcasing eight new Lennar collections. With a wide selection of product types including flats, luxury single-family, Next Gen® and detached homes, you are sure to find a perfect fit for you and your family. Each new residence boasts Lennar's elevated Everything's Included® program, modern designs and an ideal location with walkability to award-winning Irvine schools, recreation and amenities. All collections are now open, so stop by and tour the fully-furnished models today! 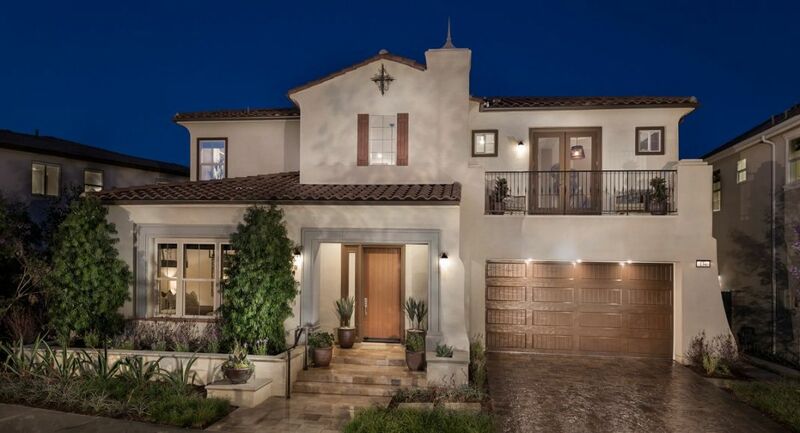 "Situated within the sought-after Great Park Neighborhoods, Lennar offers brings a range of collections at Cadence Park set in a prime Irvine location suitable for families of every type." said Janet Price, Marketing Director for Lennar California Coastal. "These neighborhoods offer buyers an enviable Orange County lifestyle with top-rated amenities and schools." Adagio, Cantata and Encore at Cadence Park offer a variety of two- and three-story contemporary-style single-family detached homes from approximately 2,080 to 3,507 square feet. Crescendo, Serenade, Capella and Marcato offer luxury single-family homes from approximately 2,878 to 4,585 square feet. Designed to embrace the lifestyles of today's modern buyer, floorplans throughout these collections feature open-concept layouts with large great rooms, dining rooms and kitchens that effortlessly connect for maximum entertaining and relaxation. Enjoy extravagant living with elegant master suites with spa-inspired bathrooms. Chorus at Cadence Park offers a collection of stylish flats with single-story and two-story floorplans boasting courtyards, decks and bonus rooms per plan ranging in size from approximately 1,653 to 2,868 square feet. For added value and style, each home features Lennar's signature Everything's Included® program that includes a high level of custom-like features at no additional cost. Enjoy exquisite countertops, stainless steel and energy-efficient GE® and Wolf® appliances, beautiful cabinetry with soft-close hinges, home automation technology including Amazon Alexa and much more. Now embedded in the program is the world's first Wi-Fi CERTIFIED™ home designs, meaning high-performance wireless coverage on every floor, so you can operate today's best smart and streaming products at peak performance. For buyers looking for additional space, Lennar's popular Next Gen® – The Home Within A Home®floorplan is available at Crescendo. Designed for multigenerational living, the layout provides a separate but attached suite with its own entrance, bedroom, great room, kitchenette, and bathroom. This is a win-win solution for homeowners looking to accommodate family without sacrificing anyone's comfort or privacy. Cadence Park residents have access to the expansive of amenities available at all the Great Park Neighborhoods, contributing to a unique and elevated living experience. Walking and biking paths shaded by grand heritage trees, pools, spas, indoor gathering areas, parks, sports fields, playgrounds and much more located just steps from your front door. Coming August 2018 to the Cadence Park neighborhood is a brand-new, state-of-the-art school, just in time for the 2018-2019 school year. Prospective homeshoppers are encouraged to visit the community and tour the model homes. Cadence Park is located between Irvine Blvd. and Modjeska in Irvine. Visit www.lennar.com/oc or call 949-423-3007 for more details.